Hi Tutti fans welcome back to Tutti Saturday with Monica. I hope everyone is loving the cool weather.. at least in Florida it's cool and I love it! 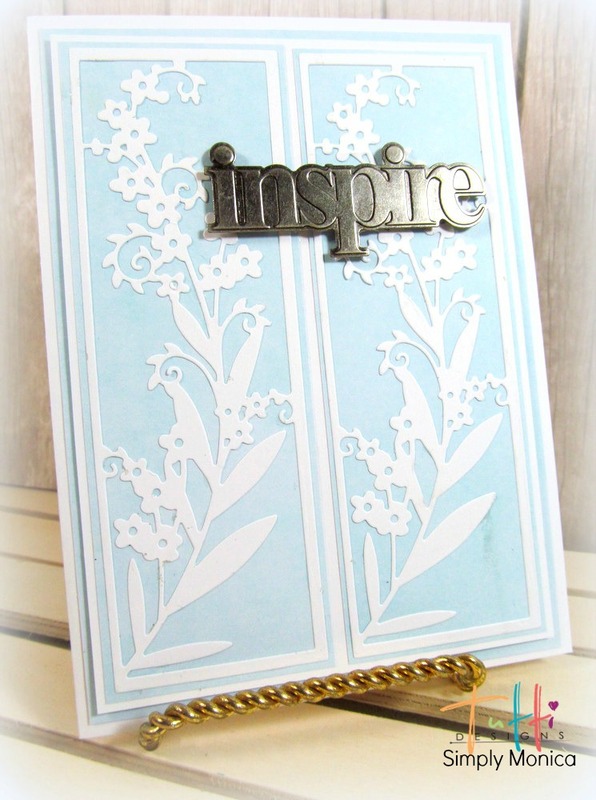 So today, I made a card that is very soft and elegant like a relaxing cool breeze just as the morning sun starts to shine. I am hoping to inspire everyone using Tulip Panel which is shown below and from the October release and be sure to check it out because gorgeous flowers are everywhere. I basically cut out two of the panels and laid them side by side and matted it with matching papers to give a clean look.